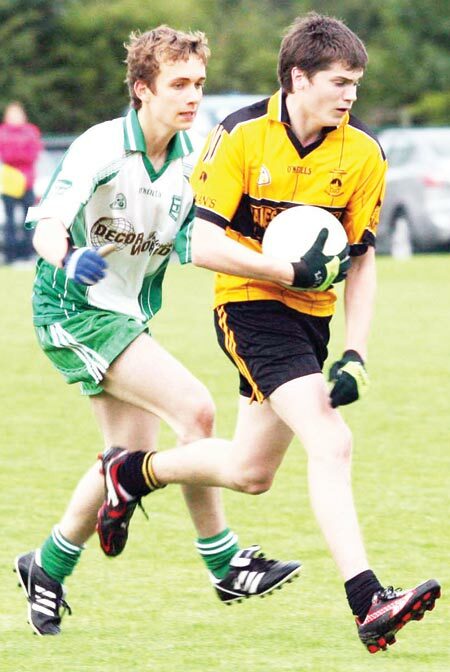 Saint Eunan's moved a step closer to adding the under 16 Championship to the Division A league title they won in May with this four point win over Aodh Ruadh in Convoy on Friday evening. Leading by five points at the interval (0-7 to 0-2), Saint Eunan's, under the guidance of Martin Blaney, proved to be too strong for their Ballyshannon opponents. 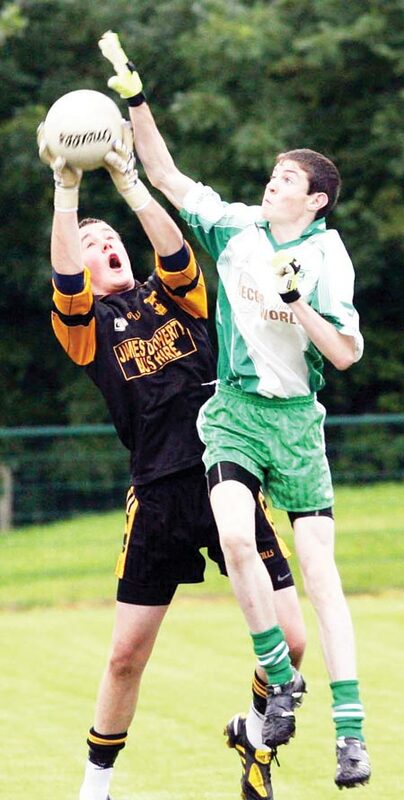 Aodh Ruadh got the match back to within two points in the second half, but in a key moment the Eunan's keeper, Aidan Mitchell denied Johnny Gettins a goal. Aodh Ruadh's Alan Finan had great first half at midfield, but tired a little in the second half as his championshp exertions with the minors earlier in the week took their toll. St Eunan's team captain Daragh Mulgrew had a powerful second thirty minutes at centre field while they were also well served by full-back Conor Parke and Oisin Carr and Niall Curran in the corners, while Kevin Meehan and Dan O'Donnell proved the main scoring threat at the other end of the field. As a unit the six Aodh Ruadh backs were excellent, especially Colm Kelly and Eamon McGrath. Up front Pauric Patton showed well and grabbed two points. Ryan Granaghan was really superb though, scoring four excellent points, two off the left and two off the right. A great showing after a exemplary year of hard, determined work from Ryan. Jamie McDonald; Colm Kelly, Eamon McGrath, Ryan Patton; PJ Gillespie, Kieran Keown, Darren Gettins (0-1); Marcus Harley, Alan Finan (0-1); Ryan Granaghan (0-4), Pauric Patton (0-2), Fergal Meehan (0-1); James Kelly, Johnny Gettins, David McGurrin. Substitutes used: Matthew Gethins for Ryan Patton. Aidan Mitchell; Oisin Carr, Conor Parke; Oisin Carr, Niall Curran; Evan O'Sullivan; Conor O'Donnell, Thomas Grant; Daragh Mulgrew, John Gibbons (0-2), Mark Coleman (0-2), Kevin Meehan (0-4), Conor McEniff (0-1); Michael Roache (0-1), Dan O'Donnell (0-3), Jack Brennan. Substitutes used: Barry McGeehin, Cormac Blaney, Brian Hannigan, Eoin McDaid, Prionsais Lennon. 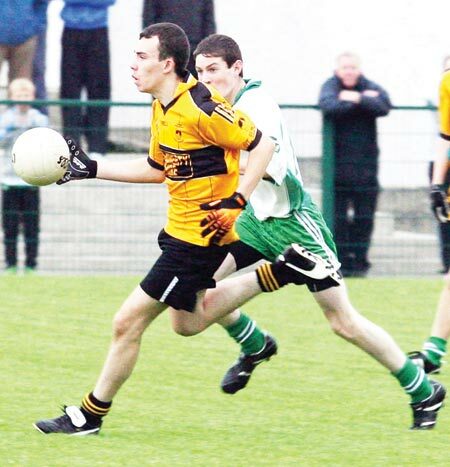 Report and pictures kind courtesy of Donegal News.